Brian's 789-128 and 1202-118 using HV taps for 420v on the plates of the xf3s (I have some xf2s but these testing ones dropped in biased up nicely and sounded so good! 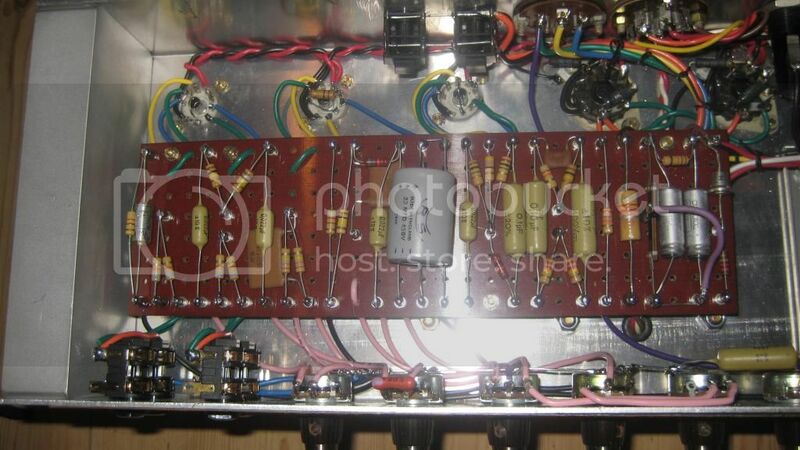 I have Mullard 163 in V1 and V2 and NOS Brimar in V3, NOS Mullard GZ34. 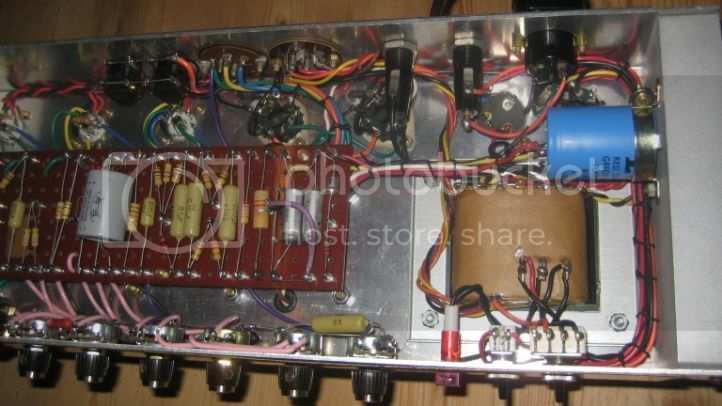 Next project to get done - the Hendrix/Dickinson 7026 clone (exact down to the type of caps and resistors but with Marstran iron, although no relic'ing! (just curious), since you have the benefit of a "real one" to compare to, do you try to match them up, sound wise? Wow that is really nice, where ya find the selectors? David B wrote: Wow that is really nice, where ya find the selectors? Thanks. The three pins I bought a while ago from DrTron on ebay (I bought x3 IIRC) the 5 pin came from a PP member in the Vox section. The numbers are worn off but realistically I use 240v and 16ohms so they rarely change. Hope to spend some time burning it in but although we all have a honeymoon this sounds great out of the box, remarkably like the original. I plan on doing a bit of AB ing with the two to see how they compare under close scrutiny. Unfortunately I only have one Alex, one Hotplate and one Motherload elemental and cranking these at home without attenuators will require my family going out for a while even out in the annexe!! Love the look with the block chassis, great job duplicating your original which is a sweetie BTW.